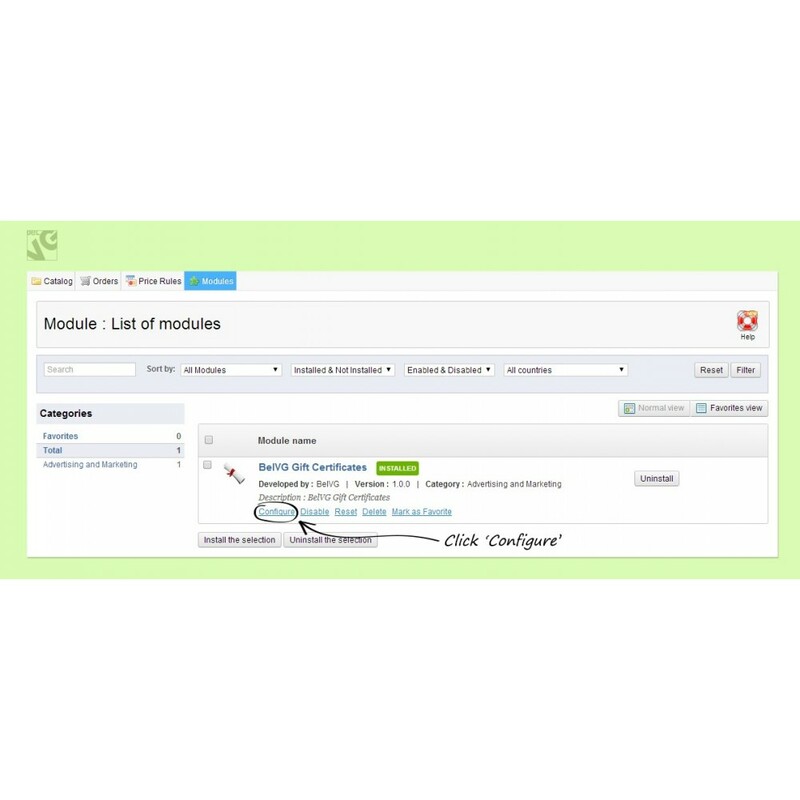 Just as the name says - this module allows you to buy gift certificates for your friends or even for yourself. 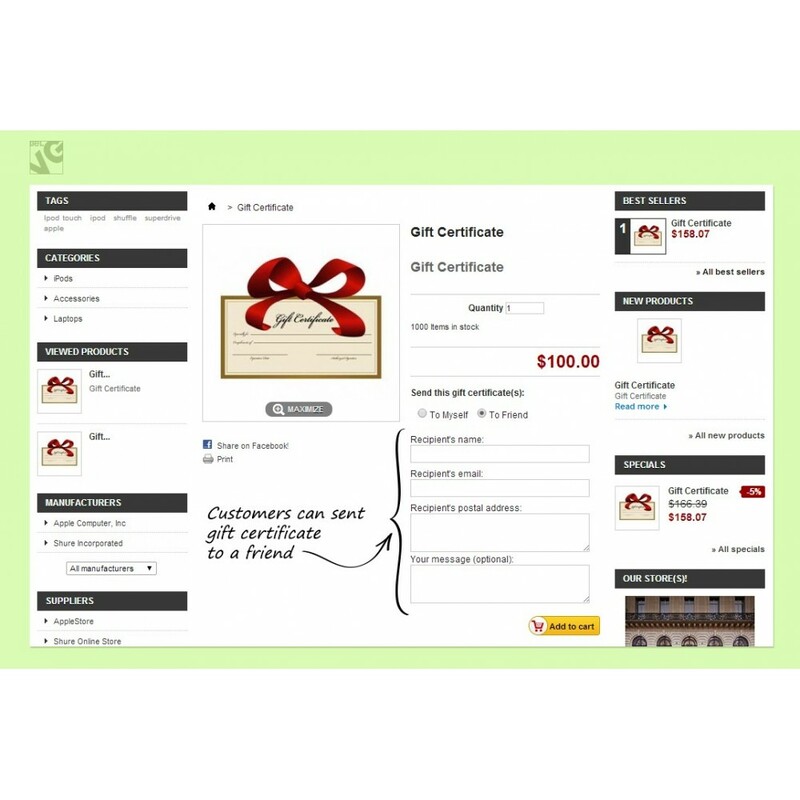 With Prestashop Gift Certificate you can choose products to be used as gift certificates and specify prices and other features of the order. 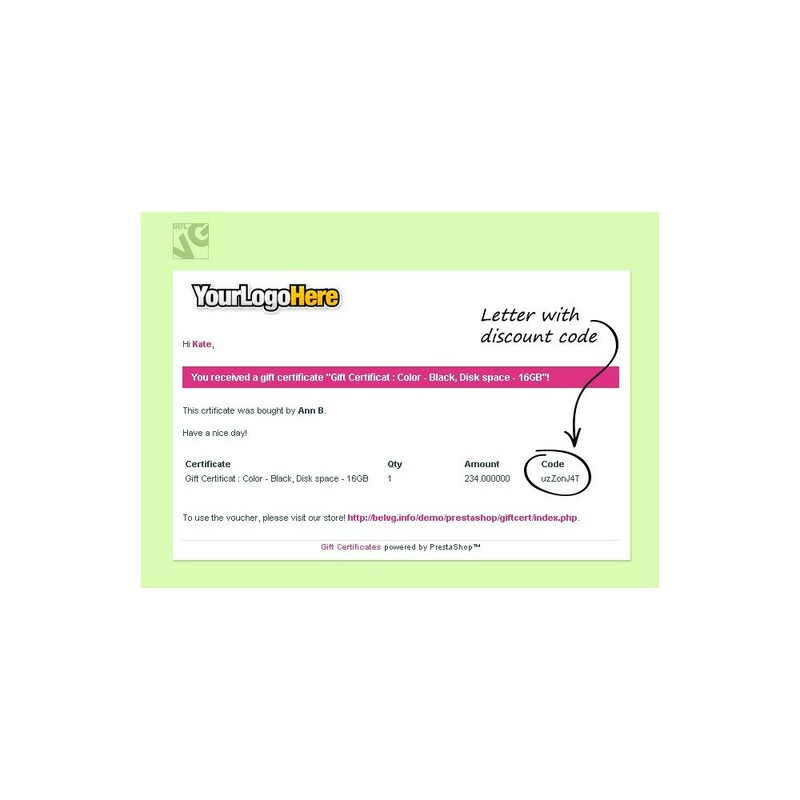 Gift code is sent via e-mail and can be redeemed at any time. 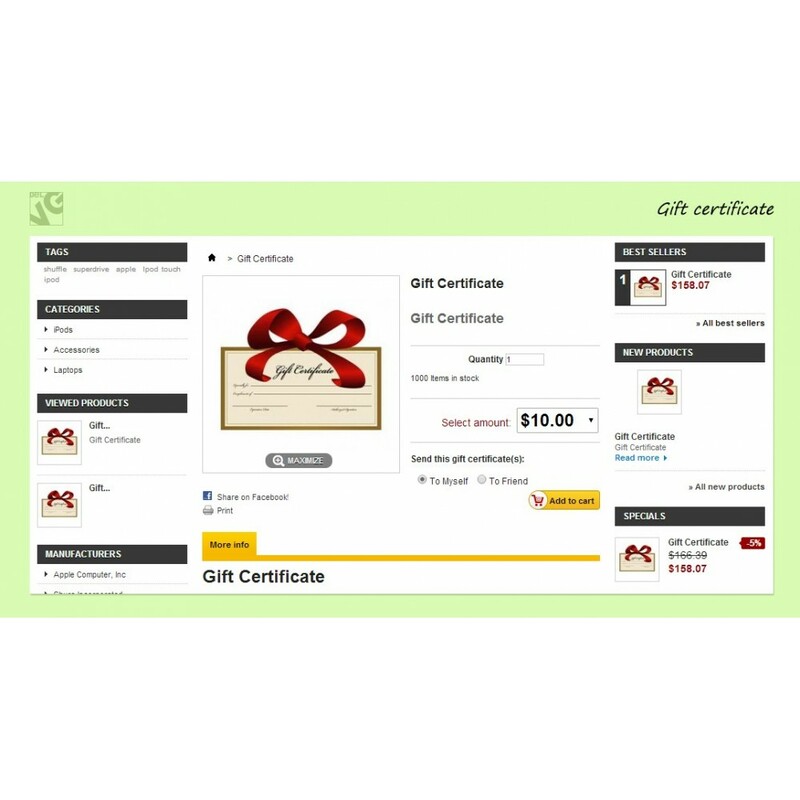 Gift Certificate extension provides the opportunity to buy a gift certificate. 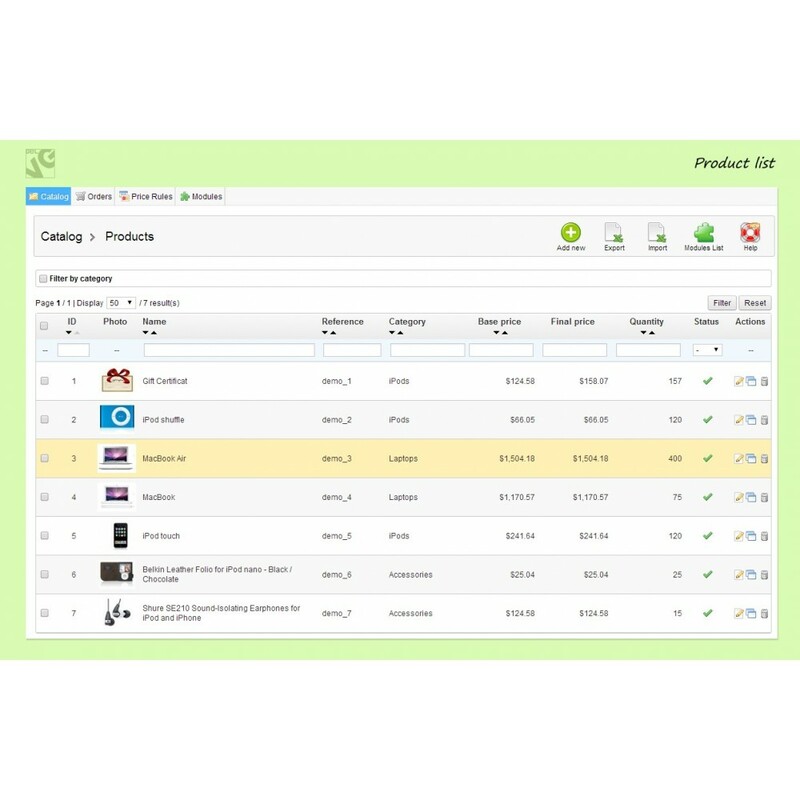 It works for any product from your store's catalog. 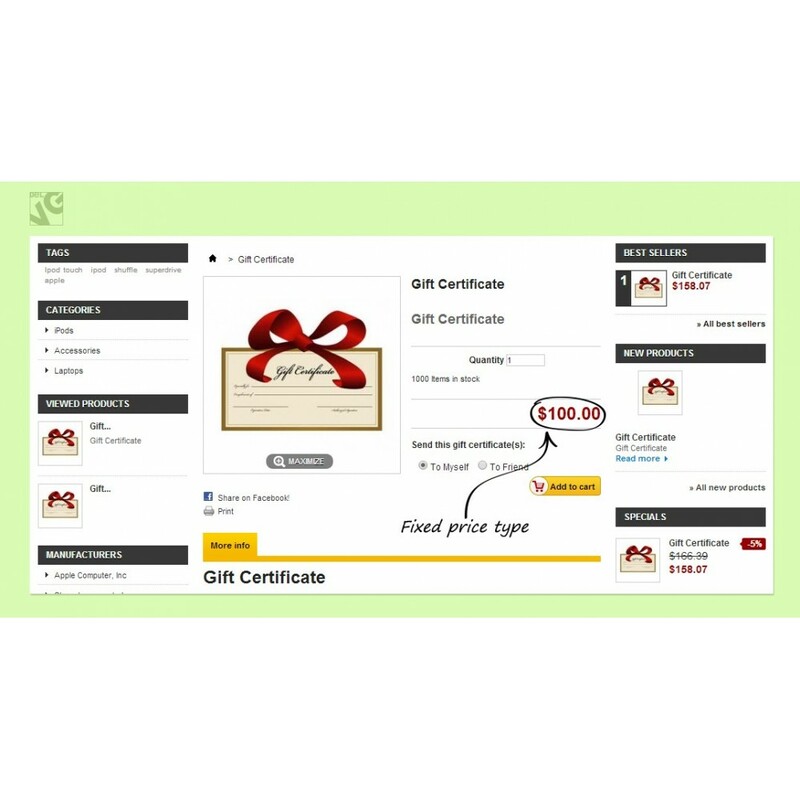 Customers can buy certificates for their friends or even for themselves. No matter who the gift is for, it will be easily delivered to chosen address or e-mail. 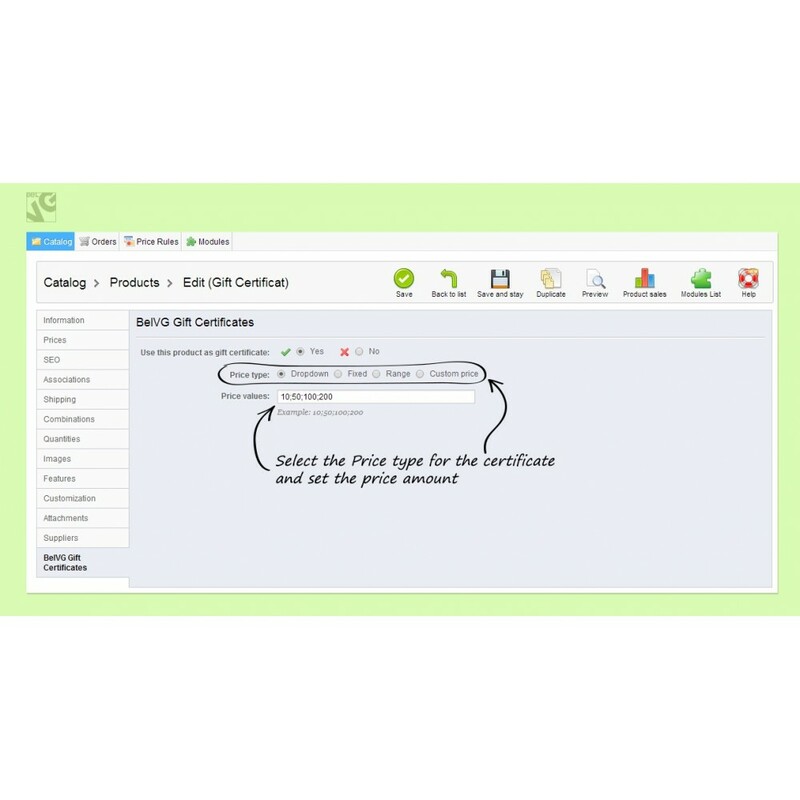 No need in extra codes, complicated actions, or rules to get the certificate – just few clicks and the product is ready to be purchased. 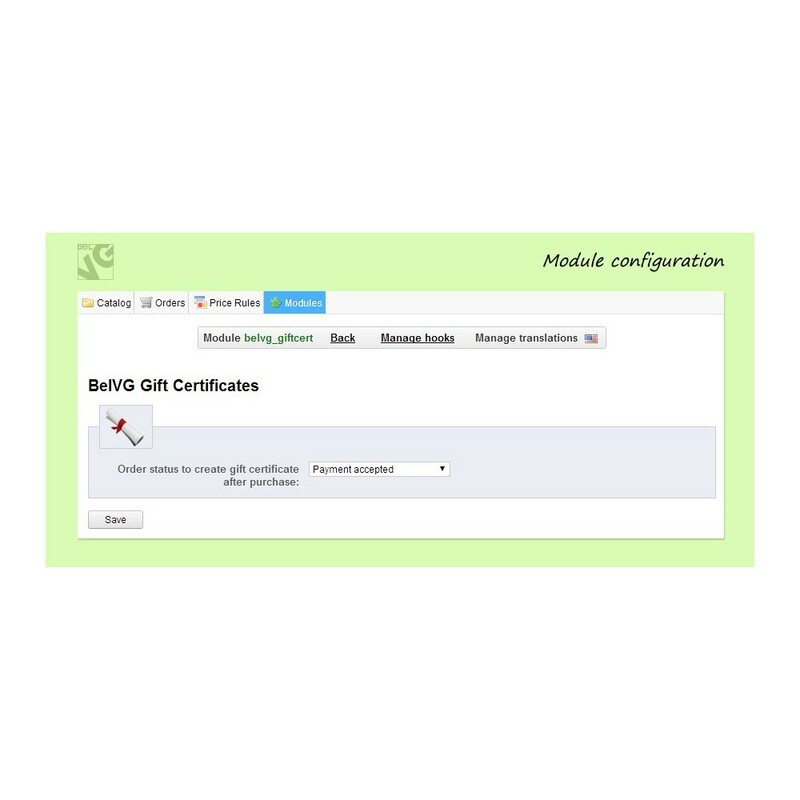 Your clients can buy multiple certificates; the amount is not specified or limited. Creating rules for prices of gift certificates.